Hailing from Harbor City, CA, Mengel initially committed to joining the Marines before Coach Jim Mora and the hometown UCLA Bruins came calling. 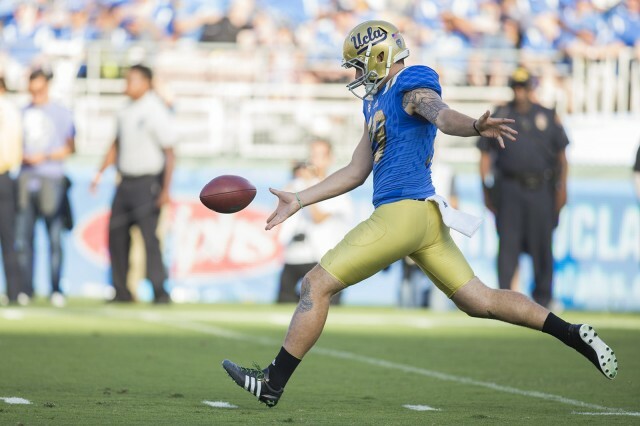 Barely a month later, Mengel found himself as the starting punter for the nations #11 ranked team, and a valuable asset for the Bruins. Perhaps his finest performance came in 2014 against Arizona, when Mengel pinned the Wildcats inside their own 20-yard line 6 out of 7 times (40.7 yards avg), and inside their own 10 yard line 3 times en route to a key Pac-12 Conference victory. Now, the 6’2″, 210 lb P/PK, Mengel will compete in The Spring League in 2018, determined to prove his experience, leg, accuracy, and heart belong on football’s biggest stage.